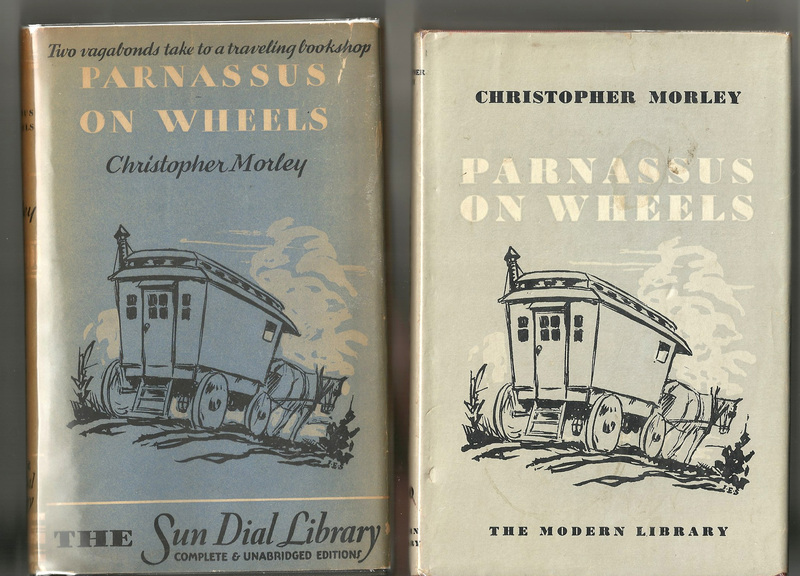 Thanks for the side-by-side images of the Sun Dial Library and ML jackets for Parnassus on Wheels. I hadn't seen the Sun Dial Library jacket before and have just revised my bibliography entry for Parnassus on Wheels accordingly and have  attached a copy. I'm currently submitting final revisions of the bibliography o n a regular basis to the University of Virginia, which is  publi shing it electronically. I think I noticed that you're now living in Columbus. I plan to include scans of as many ML jacket variants as possible. So far I've scanned jackets in my own collection and the collections of Pete Chocheles, Joe Hill, and John Wolansky. Unlike modernlib.com I scan the backstrips as well as the front panel, and I do the scans as tiff's (for archiving)  though the online images will be jpeg's. I'm hoping to schedule a scanning trip to Cincinnati in September to scan jackets in Alan Oesterich's  collection and I wondered if I could scan some of your jackets before or after I do Alan's. I remember how impressed I was with the condition of your jackets when I saw them several years ago. I'm going to be in the Columbus area next weekend for  my aunt's 100th birthday, but that will be a purely family occasion . One cousin is coming from San Francisco, and m y sister is coming from England for the occasion.